Lovely take on You Wear It Well's bonhomie, generosity, and deep-down sadness. 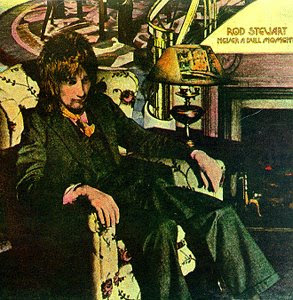 The cover - I always thought Rod was sitting in a Victorian front room, maybe his folks' on Archway Road. The springs are going in the armchair, and that's a mural on the (slightly abstract) wall.